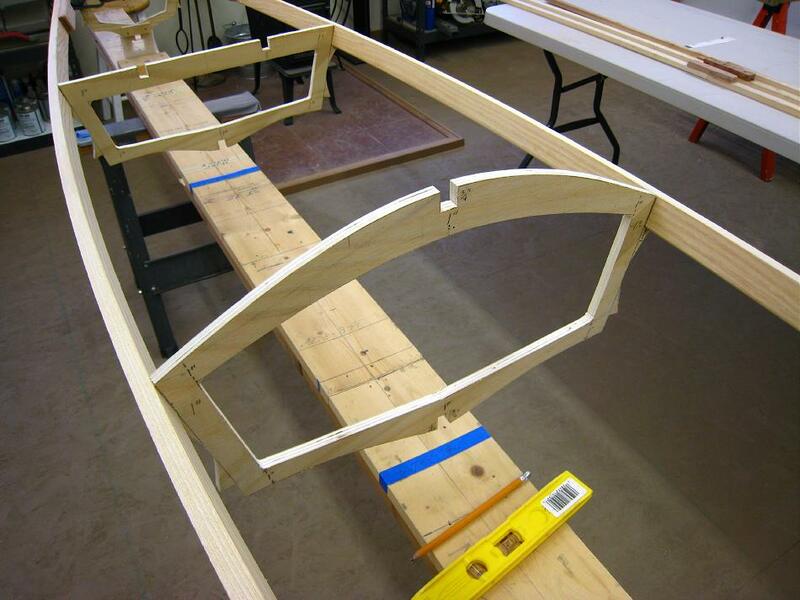 Next, cross sections 2 and 4 are inserted into their proper location between the gunwales. This location is marked by the blue tape attached to the strongback. Correct cross section spacing is provided for each design in the Offset tables.